I spent Thursday evening and Friday and Saturday at the New Networks for Nature meeting – it was great in an inspiring, relaxing, challenging and humorous mixture. 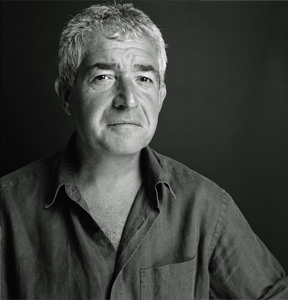 But the best bit, the very best bit, the very very best bit, was on Friday morning when George Monbiot and Tony Juniper debated, in a very friendly, comradely and polite way, whether we should go down the ‘valuing nature and using those monetary values to influence people’ route. It’s a question touched on in this blog now and again, and one that I wrestle with. It’s something of a relief that these two intellectual leaders of the environment movement did not come to a convincing conclusion either. Monbiot took the line that to get engaged in the valuing nature business is to move onto the territory of the people who are causing the problems (the politicians, the corporations etc) where we will never win the argument (and he used a fantastic example about a trade-off of lives and minutes of rich people’s time in the discussions about a third runway at Heathrow) and risks framing future decisions in terms of monetary value when we all know that is too much of a simplification. Juniper said that there are good people who work in the world of money who will be influenced by the monetary value of nature, but only if we stick it under their noses and work with them. 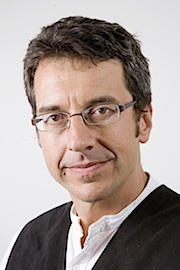 Monbiot said we need to stick to our beliefs and principles, because we are right (! ), and mobilise, mobilise, mobilise to win the day. I believe that the debate is likely to be available to view in future and I recommend it – I will certainly watch it again. It was a privilege to be there and both men were at the top of their game. You might want to know who won? I think neither really did. It looked a bit as though Tony Juniper did, but he pinched a bit of George’s argument right at the end when struggling to convince us that there could be a monetary value to bird song. So he had to say something along the lines of ‘Well, they should take beauty and wonder into account even if we can’t value it well’. George looked a bit as though he had lost because it sounded as though we might have to overthrow the whole of capitalism for his route to win – appealing in some ways but quite a big job for the nature conservation and environment movement. But the audience was a crowd of winners because the two men, aided by a bit of nudging by the chair Jeremy Mynott, took us deep into the issues being discussed. No-one could emerge from it thinking it was easy. Some might believe that perhaps there are horses for courses, or perhaps more accurately, we can sometimes ride both horses at once (although Monbiot would caution against that approach). I can give you an example of that from the debate on driven grouse shooting. We have argued, for a long time, that driven grouse shooting gives rise to so much illegal behaviour (deliberately and necessarily, not accidentally or incidentally) that it should not be allowed to persist. It’s not a question of money (although the grouse shooters sometimes take the argument there), it’s a question of right and wrong, and some other stuff too. This might be characterised as the Monbiot approach just for the purposes of this example. It’s to do with the beauty of nature and how we shouldn’t harm it, not a cost-benefit analysis of monetary value. But the Juniper approach might be that here is an example where the economic value of grouse shooting, once calculated properly, is so tiny, that when you do the sums properly, and include the costs of increased water bills, increased home insurance, lower fish stocks (probably) and increased greenhouse gas emissions, then grouse shooting will look like an utter waste of the public money we pour into it, and although it delivers economic benefits to a few, it delivers , in aggregate, much larger economic costs spread across the many. Therefore, it doesn’t add up and we should stop it. Both of these positions are set out in Inglorious, and there I tend towards the Juniper position as the one most likely eventually to influence decision-makers strongly. But I also suggest that a string of high-profile raptor deaths, pinned to high-profile grouse moors through satellite-tagging, is another route that might work through public disgust and fury at the scale of illegal killing of protected wildlife. I don’t mind which ‘wins’ the race to end driven grouse shooting and perhaps that will happen soonest if the two arguments cross the line together. We’ll see. I believe that I am in the 'horses for courses' camp. It seems obvious to me that the economic value argument is limited by the large number of things that I know to be valuable - such as the sound of the dawn chorus - but which cannot really be valued in terms of the pounds or dollars they contribute to the economy. If we slavishly adhere to the economic value argument then we tacitly accept the fact that a George Osborn style politician will happily consign to oblivion the obscure little arthropod that doesn't appear to pay its way or the scrap of semi-natural habitat that doesn't support a tourism industry or provide any other financial income or saving and I think that is wrong. We should be prepared to stand up and fight for all of nature and unembarrassed to champion those things that don't put pound notes in our pockets but which can uplift our hearts. We should also fight for those things which may be ugly, obscure and which most of us will never see or even know they exist; they have as much 'right' to exist as anything else. On the other hand, I think it is perfectly reasonable and sensible to point out those situations where nature does make a significant contribution to the economy and to the well-being of human society. If bumble bees, for example, make a substantial economic contribution through the pollination of crops we should definitely point that out and expose the folly of driving bumble bees towards extinction. Likewise it is entirely pertinent to point out the contribution that otters and sea eagles make to the tourism economy of Scotland as more than compensating for any harm they might be perceived to do as top predators. There may be many things wrong with the capitalist system but it is the system we live in/under and so it would be foolish if we refused to besmirch ourselves with talk about money and neglected to point out that in many, many cases it is economic stupidity to allow our wildlife to be eroded away. To do so, though, should emphatically not be taken to mean that financial reasons are the only valid ones to protect wildlife. I believe there will always be a mixture of arguments including moral, aesthetic and economic ones in support of the conservation of wildlife and we should use them all to the best advantage of nature. "We should also fight for those things which may be ugly, obscure and which most of us will never see or even know they exist; they have as much 'right' to exist as anything else." Though I would have put right (sic), not 'right'. I think your grouse moor example clearly shows that riding both horses is the best way to go. Both lines of argument have helped move the debate forward and both are persuasive in making the case for action. Ultimately it will be public opinion that results in change and the public care about the illegality and loss of wildlife, as well as the financial implications of intensive grouse moor management. They are so interlinked that picking a winner at the finish line may be impossible. Many in the audience did not appear to understand what George was talking about when he mentioned framing, and thought it was about holding two ideas simultaneously in our minds, which it is not. Others did not accept the science behind framing, including some scientists! This is all fair enough and it is important that we have a debate about framing in conservation because, as Tony said, it is now very possible that conservation will split into a number of separate strands now. Is this what we want? Miles - yes, and it would be great if someone wanted to write about the framing issue here. But, today and tomorrow, and in individual cases (such as the grouse shooting example above), it would be foolish to use anything less than both approaches! I lean strongly towards Monbiot's approach - but that is not to say that I am sure it is the most effective way to the most wildlife gains in the rest of my life. And good to see you too! I feel that we are waking into a trap by putting a monetary value on nature! Tony Juniper was talking about this issue on the radio a few months ago and someone called in and absolutely slayed him. The caller made the same points re putting a monetary value on nature and using it as the prime consideration in its conservation would be disastrous. The real economic value of nature is that it's free - we don't have to earn big bucks to enjoy it as long as it hasn't been manicured out of existence. In this respect, and I speak from experience, nature is especially important to lower income groups and for children it's a fantastic educational and recreational resource. For a few years we worked very hard proving this on a local council estate where many of the members of our conservation group grew up. It's incredibly dangerous and arrogant for conservation's detractors to argue that nature is a trendy, middle class issue - and I've had conversations with suits who didn't know of my interests who have said just that, no surprise wildlife is so conspicuous by its absence. The RSPB and others were incredibly supportive of our work, I just think they gave to be vocal, even strident about how important wildlife is to all children and how institutional apathy and even antagonism is depriving this generation of something mine benefitted wonderfully from. A really fascinating debate. As someone doing real, practical things on the ground its easy to veer towards the money when the sums are in your favour, but there is more to it than that - and the underlying argument on the Monbiot side is, I feel, frequently masked by the dominance of 'rational' economics. Those same economists have been, and still, struggle badly with the reality that people like to live in nice places and that there seems little doubt that to very many trees, birds, nature play a big role in defining what is 'nice'. So we vote with our feet and the economists run along behind to try and grab how we are feeling back into their monetarist, rationalist camp. We still apply ethics - and there are huge debates - to medicine as technology opens up unthinkable options. An absolutely fundamental problem in farming - and therefore for nature - is that technology and ethics have become almost completely detached from each other. If you can do it technically, then, the argument seems to be, you should and if you don't someone else will and the market will fix you. Europe has put up modest resistance to the extremes the Americans have embraced - obscene hormone treatments of dairy cows, virtually uncontrolled GM but in contrast to medicine the idea of asking the question 'we CAN do it but SHOULD we do it ?' seems virtually absent. Forestry, in contrast, has drawn a fair way back from the brink thanks to very effective pressure from the environmental sector - but there is no doubt that the thrill of developing tractors that could virtually walk on water was a significant contributing factor to the worst practise in the Flow Country in the 1980s. A very good synopsis of a fantastic debate, Mark - as you say, the high point of two days of excellence (mostly). When the video of the debate becomes publicly available on the New Networks website, it will bear watching time and time again for the manner in which two white-hot brains posited their ethical stances. I agree that Monbiot's arguments were more persuasive than Juniper's seemingly circular and fair more diluted position. The very phrase 'natural capital' seems to me to be a morally repugnant oxymoron. Monbiot's point on mobilisation, which you echoed on Saturday, was a good one. Matt Shardlow spoke very well from the floor on the threat to NGO's from government during the question time session, so in the face of this threat why aren't I getting letters through the door from every NGO I'm a member of asking me to write to my MP? On that and so many other issues? Most of the emails I get from the RSPB are trying to sell us tea-towels and the like. Incidentally, 7 red kites from the A43 between Kettering and Stamford on Friday morning. A fragment of hope. Chris - I thought exactly the same so I am glad that you have said it here. Matt's ask was 'Ask not what your NGOs can do for you, but what you can do for them' which, bizarrely, got a round of applause. First, they haven't asked - as you said. Another example of the limp approach to mobilisation by wildlife NGOs who want to mobilise your cash rather than your convictions. 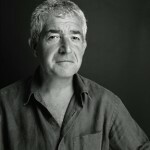 Second, wildlife NGOs exist to do things for wildlife - that's why they get my money (and a lot of them do get my money, and no doubt will do for quite a time to come) and so their members are entitled to ask, and indeed demand, that they do their very best job for nature with our money. I'm concerned about the intellectualising of an immediate and escalating crisis for the natural world. Greed is not persuaded by clever debate because greed is stupid. As a messenger Monbiot is the most effective at revealing the threats and those responsible; hence the constant effort of the reactionary and the stupid to shoot him down. I despair at some on 'our side' also taking pot-shots at him- 'dont shoot the messenger. Do we have time for all the discussion; action speaks louder than words.